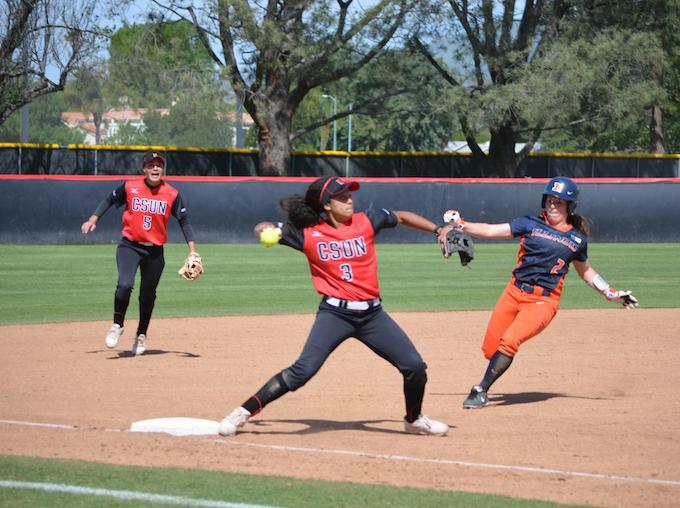 The CSUN softball team (23-17, 3-3 Big West) split a pair of games at the University of Hawaii Rainbow Wahine (18-21, 2-4 Big West) on Saturday, winning the first game 4-1, and losing the second, 6-0. 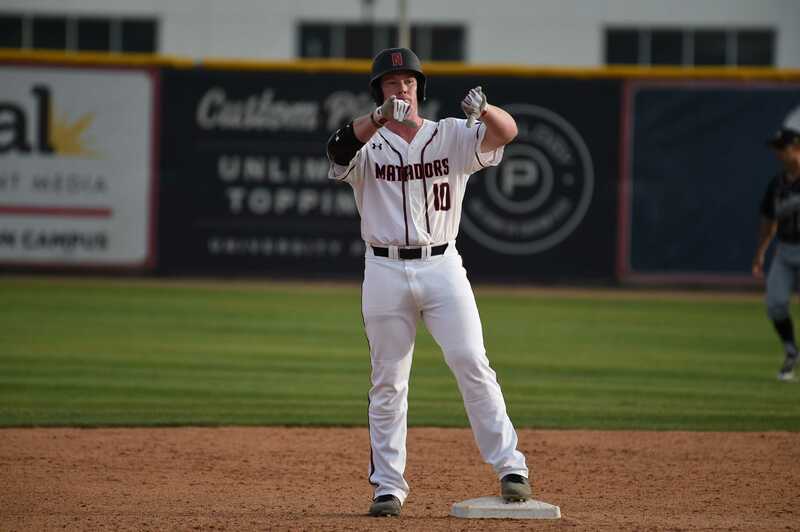 Overall, the three game series was a successful one for the Matadors, as they came away winning two of the three games during their trip to Hawaii. CSUN got off to a good start offensively in the first game, scoring two runs in the top of the first inning. 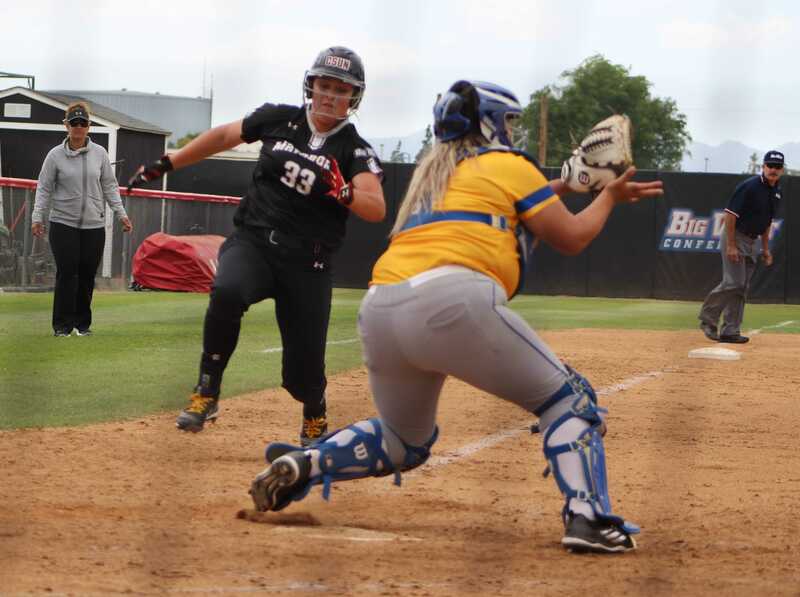 After the first two Matadors of the inning got on base, redshirt junior catcher Karlie Habitz singled through the left side to make the score 1-0 with one out. The next batter, senior first baseman Ariana Wassmer, collected an RBI-ground out to the shortstop as Glover scored to make the game 2-0. CSUN held the lead until the bottom of the third inning. After junior starting pitcher Daphne Pofek retired the first two Hawaii hitters, the next three got on to load the bases with two outs. Rainbow Wahine catcher Rachel Lack then stepped to the plate, and hit a grand slam, giving Hawaii a 4-2 lead. Leading off the fifth inning, Glover hit a single up the middle for the Matadors. The next two batters would record outs, as Hawaii nearly worked out of the inning unharmed. Wassmer was the next batter and promptly hit a two-run home run for the Matadors, collecting her second and third RBIs of the game, to tie the score at four. Wassmer’s three RBIs were a team-high, as she finished the game two-for-four with the three RBIs and one run. 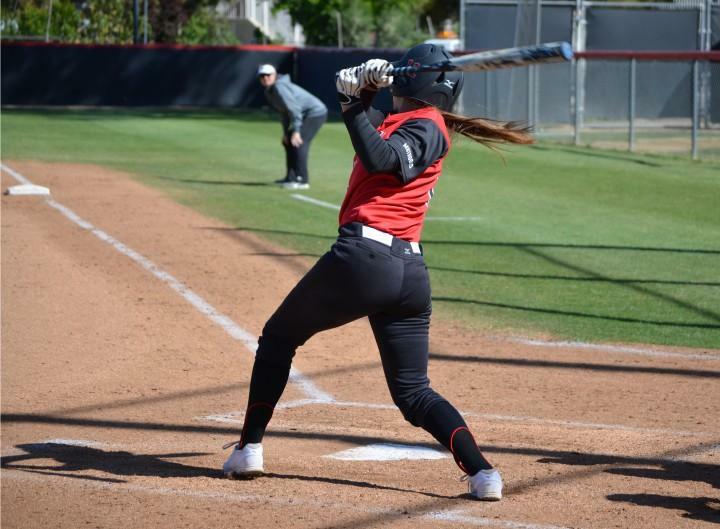 Her 24 RBIs on the season ranks third for the Matadors. In the top half of the very next inning CSUN scored another run with one out. Glover collected an RBI on a groundout to the shortstop, scoring redshirt-sophomore second/third baseman Tara Kliebenstein. The sixth inning run once again gave the Matadors the lead, 5-4. CSUN added two more insurance runs in the top of the seventh inning, ultimately securing its 7-4 win. The four runs surrendered on the grand slam in the third inning were the only runs allowed by Pofek (10-4, 3.39 ERA), as she shut out Hawaii in the remaining six frames. She pitched all seven innings, allowing six hits and walking two batters while also striking out six Hawaii hitters. The second game Saturday did not fare as well for CSUN, as the team was shutout in a 6-0 victory for the Rainbow Wahine. Hawaii opened the scoring in the bottom of the third inning when, with one out, shortstop Breanna Ojala recorded an RBI on a double to right centerfield to make the score 1-0. Three batters later, right-fielder Keiki Carlos collected an RBI single to the shortstop, giving the Rainbow Wahine a 2-0 lead after three innings. The University of Hawaii didn’t look back, as it plated one run in the fourth inning and two more in the sixth, to finalize its 6-0 win while also avoiding the series sweep. 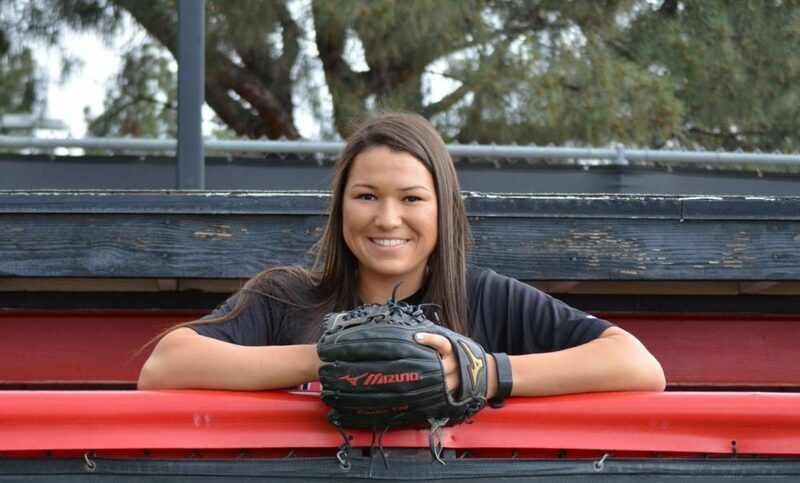 Freshman starting pitcher Taylor Troost (6-8, 3.51 ERA) took the loss for the Matadors, allowing three earned runs on seven hits in four innings of work. The Matadors next game will be non-conference, as they travel to face UCLA on Wednesday.